← Lost Letters to Santa Claus Found! Since 2011 is coming to a close, I thought it important to remind everyone of the idiotic fads, trends and social vomiting that happened in real life and on the inter-webs. If you’ve never heard of these, you’ll just have to Google them and consider yourself lucky. Enjoy. I for one am really glad to see all of these photo fads go away. I don’t know who started these but I suspect that a person with an overly large sense of self worth, combined with high amounts of alcohol and a camera were involved. Good riddance. Can’t we just get back to taking drunk pictures in bars like we did in 2010? So imagine a world where an attention deprived middle school girl designs a “Breast Cancer Awarness Meme.” How about just a status update with a reminder, “If you haven’t gotten a mammogram maybe its time to start thinking about it.” Or even a link to a breast cancer donation site? I’m not sure how you feel, but common sense feels really good. Why don’t you hate AIDS!? Why won’t you copy and repost this status!? Don’t you hate bad things!? Copy and Post if you believe in Miracles! Copy and Post if you’re afraid of Ghosts! Copy and Post if you don’t want to get Aids! If you don’t Copy and Post it means you like Nazis, cooties and Aids. 3. THE END OF THE WORLD! Remember this!? Why the media and the world started giving these people air time is beyond me. I know this isn’t the first nor the last group to say that the world is going to end, so lets keep that in mind the next time we hear doomsday stuff and worry more about aliens and Russian nukes OK!? Or using the phrase “Winning.” Whenever I play competitively in sports or video games I’ll yell out, “HEY! 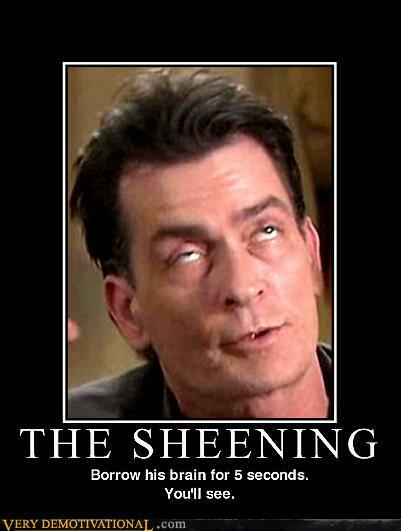 I’M Winning!” And instantly remember Charlie Sheen. I feel so dirty now. I feel sad that my only pre-victory phrase has been taken from me. Ladies, you aren’t birds and these feathers won’t make you fly. If you want to fly you can either do drugs, think happy thoughts or fly a plane. Let the fishing lures stay in fishing. 6. Runners up, or other things I want to go away. skinny jeans (only on dudes). Putting Hash tags on Facebook. The sheer number of Republican debates this year. Justin Bieber, I took pity on you because a crazy fan accused you of impregnating her, watch yourself. This entry was posted in Jobs, Life and the American Way and tagged 2011, Charlie sheen, comedy, copy and post, facebook status updates, fads, feathers in hair, Funny, Humor, kardashian, Maximumwage, moses folliville, owling, planking, twilight, winning. Bookmark the permalink. Yes, all things Kardashian should go away. This is hilarious. Am in agreement on all. May i suggest the addition of Lindsay Lohan. And the entire Lohan family? What a bunch of losers. My family is far more interesting and not as stupid as those two. BUT we’re not famous, so why would anyone care? Hopefully we can get through at least one day in 2012 without hearing about Matt Damon, Lady Gaga, or any of the other thousand people and ideas that mainstream media keeps throwing at us. And maybe we can all stop using facebook. Mark Zuckerberg is a multi-billionaire because of all of the facebook users, but what do we get? Watched! Hahahahaha you are very funny. I like how I am saying this in 2013, but it would be nice to have a day like the one you described. I could not agree more! Apart from skinny jeans on guys. So long as they wear them above there but and not incredibly skin tight they are ok. But I hate jeggings, Leggings are not pants and putting a denim print on them changes nothing. I would like to add cracked finger nail polish to the runner ups. Why would you want your fingernails to look all cracked up? I’m sorry to anyone who likes her, but I’d like to add Adele to the list. I’m just sick of hearing about her. “she strained her voice! Poor thing!” It got to a point where it was so bad that I swore I would throw any sound-producing device to the ground (preferably a cement one) the next time I heard “Rolling In the Deep.” Lucky for me and all sound-producing devices, that was right about the time her next single was released. Yay. Couldn’t agree more, well said friend. I REALLY hate the feathers, they make me homicidal with rage. Whoa!!!! don’t be killing ladies over their hair accessories! Ha ha ha! I control it by planking on the nearest object! Whats funny is I imagine you planking, but silently cursing and swearing to yourself in the planking position. It makes me laugh. Hilarious! As usual! Always look forward to your posts. What made me laugh the most is hair feathers and of course Justin Bieber. 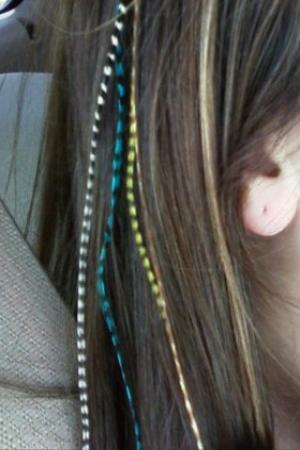 But I find the hair feathers comment funny because I have friends that do this and think it is so cool. I do enjoy some trends but the hair feather was definitely one I could not understand either. It’s like you’re my soulmate. Yes, yes and YES to all of the above being illegal offences in 2012. Yes, PLEASE make men stop wearing skinny jeans. PLEASE! Also, I am apparently a lot more harsh in my judgement of Justin Bieber. I only cut him some slack because of that crap he had to go through but still, I don’t listen to his music and have no need to im not a 13 year old girl. When I read posts like this one, I realize I do not belong to an alien community and that there are people out there who think like me. I mean, Chain messages, really?! 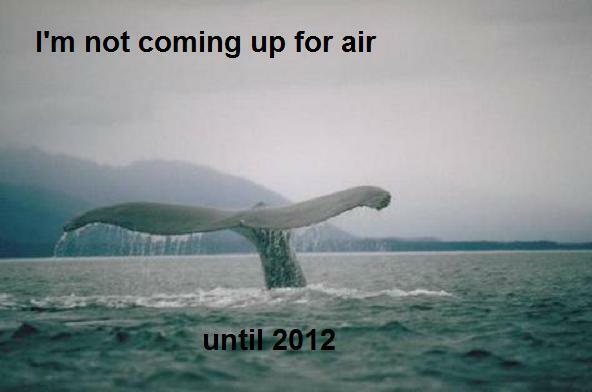 Aw, and I was just thinking of planking myself… Oh well, missed yet another boat. Check, check, check, check, check, and check-mate! You covered most of the major offenders. Steampunk Fashion – Put the f*cking goggles away, you hopeless poseurs!